Fundraiser by Amanda Rebecca Morris : Help us feed refugees! We are a small group of sisters who have embraced Islam and wish to give back to the community that has welcomed us into their hearts. One of our local mosques feeds hundreds of refugees and asylum seekers every night in Ramadan, but they are in danger of not being able to provide this essential service for much longer. We have pledged to raise a minimum of £2000 to help them continue this noble work inshaAllah, and to help these new arrivals feel at home in our wonderful city of Cardiff. The funds will go towards providing Iftar in the mosque during the last 10 nights of Ramadan inshaAllah. Please help us reach this goal by donating as much as you can. Fidya and kaffarah for missed fasts can be paid to this cause, as well as sadaqah and zakat, as it will benefit the needy directly inshaAllah. May Allah SWT reward and multiply your generosity! Thank you again to all who donated generously to this campaign, mashaAllah we were blown away by the rapid response! 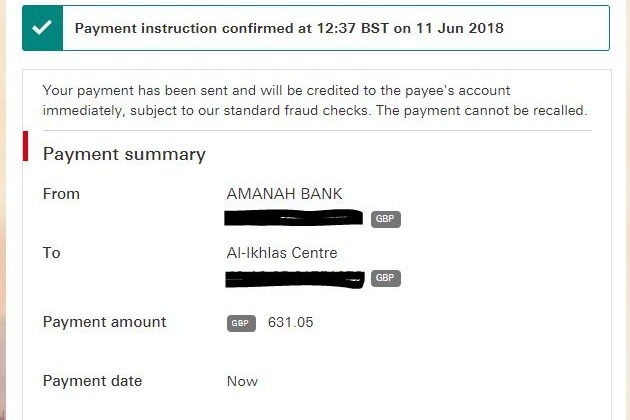 The final payment instalment has now been transferred to Al Ikhlas. May Allah SWT accept it from us all! 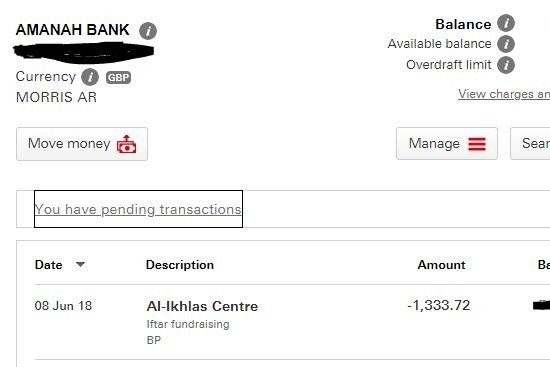 Just a final update, the last insallment of your generous donations has been made to Al Ikhlas Centre today, alhamdulillah! Please make du'a for the continued success of all at Al Ikhlas! 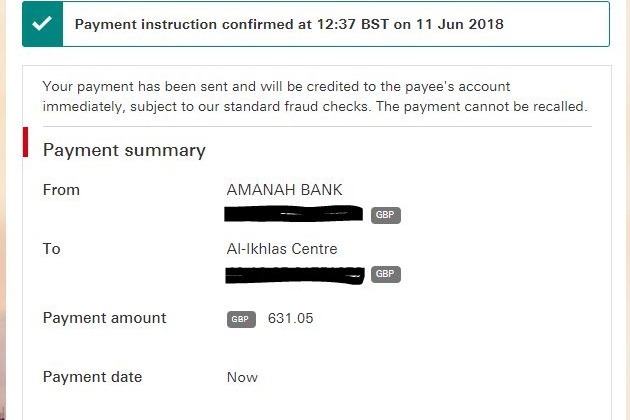 Alhamdulillah I have received the first payments from GoFundMe and today paid them to Al Ikhlas Centre's bank account. InshaAllah the rest of your donations will clear tomorrow or Saturday and be transferred as soon as I receive them. May Allah SWT accept it from us all. MashaAllah in just 4 short days we reached, and surpassed, our pledge *three times*! Alhamdulillah! Thank you to all our generous donors and those who made du'a for us and shared our campaign!